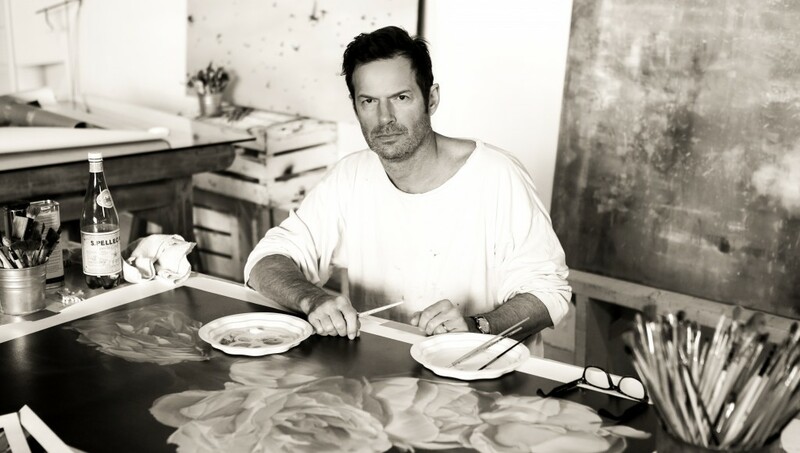 A selection of landscapes, flower paintings and abstracts by the American painter Thomas Darnell is now available for the first time as hand embellished giclees. Through the application of archival pigmented inks onto canvas, giclee technology produces extraordinary and consistent color reproduction. Each digitally printed canvas is further enhanced and detailed through overpainting and glazing in oils to recreate the luminosity, color richness and tonal depth of the original painting. Each piece is then signed, dated and numbered by the artist. Based in the south of France, Darnell captures the region’s legendary quality of light through skyscapes, seascapes and pastoral scenes of vineyards, canals, cypresses and olive trees. 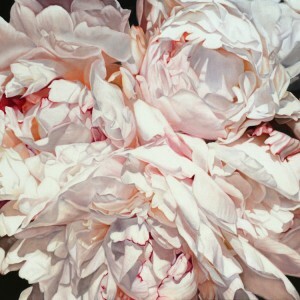 Sensual, lush and symbolic, these flower paintings of peonies, roses, sunflowers and others exemplify the artist’s impeccable technique and stand out for their quiet, elegant beauty. Whether meditative and serene or colorful and vibrant, Darnell’s radiant abstract paintings manifest a contemporary aesthetic at once ephemeral and timeless. I choose imagery that soothes and nurtures as a visual antidote to life’s chaos. 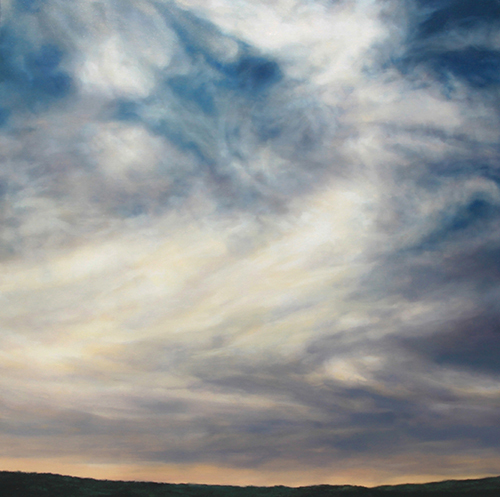 My works fluctuate from contemplative abstractions to photo realistic, luminous depictions of landscapes and flowers. Consistent in the diversity of my work is the illusion of light. It is light which makes everything visible to our eyes yet it also represents invisible forces: energy, spirit, thought, emotion. My work explores the connection between form and formless. 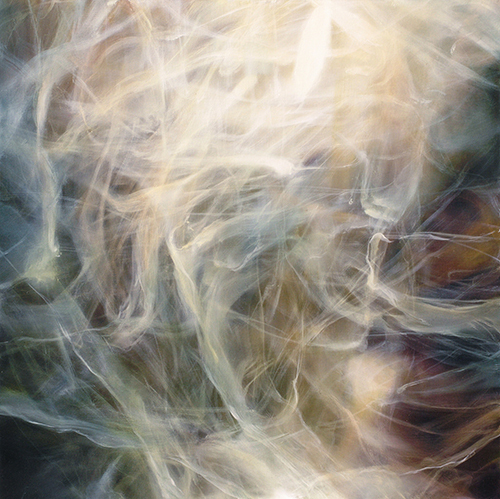 The illusion of spatial dimension and light is created through a modified old masters technique involving multiple layers of transparent oil paints and alkyd resin applied to canvas. Starting with a blurry image, I augment the details and contrast and then soften the image with thin translucent washes of paint then slowly redefine the details. This back and forth process is repeated until the right balance is achieved. The idea to offer hand embellished prints came about from a high demand for my original paintings as well as a desire to make my work more accessible to more people. My paintings can take weeks even months to complete and they don’t leave my studio unless I am totally satisfied. Likewise, each print receives my individualized attention, enriched by glazing and overpainting of details until I am completely happy with the result. The images on this site are of the original paintings and serve as the starting point. Each canvas print is transformed to a quality level close to that of the original and as there is a lot of hand work required to do this, no two pieces will ever be exactly the same.